Hey, my name is Mar­tin. I am a Exper­i­ence Strategist and Product Man­ager for digit­al products and ser­vices. My zodi­ac is Cof­fee, my ascend­ant is Apple Pie. Cur­rently, I work as a Seni­or Con­sult­ant at CGI. And I love trav­el­ing. Espe­cially Aus­tralia and Israel make my heart go boom. I have worked a User Exper­i­ence con­sult­ant and Product Man­ager – both as a freel­an­cer and being per­man­ently employed. In the past, I have worked for agen­cies and com­pan­ies like innogy, MRM//McCANN Ger­many, Sapi­ent­Nitro, nexum, Deutsche Telekom, AKQA and a Cologne-based star­tup. I am a Pro­fes­sion­al Scrum Product Own­er. 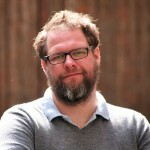 I am co-organ­iser of Ber­lin based UXcamp Europe. 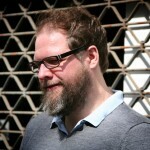 I was co-host of the Cologne User Exper­i­ence meetup UXCGN and the Düsseldorf/Cologne based UX CAMP WEST. I hold a Master’s and a Bachelor’s degree in Media Inform­at­ics from Cologne Uni­ver­sity of Applied Sci­ences. Cli­ents I have worked for include: Tele­com­mu­nic­a­tions — Deutsche Telekom, Tele­fón­ica O2 Ger­many, Cong­star, Sam­sung Elec­tron­ics. Retail — ALDI Nord, Coop (Switzer­land), REWE, Soen­neck­en. Travel — Aegean Air­lines, Lufthansa Ger­man Air­lines, Miles & More (Lufthansa Group). Sports — Her­tha BSC, DEL (Ger­man Ice Hockey League). Gam­ing — Red 5 Stu­di­os. Auto­mot­ive — Daimler, AUDI. Media — n-tv (RTL Group). Energy — innogy.